Listen to fun conversations to help you better understand native speakers in everyday speaking as you hear discussions about interesting topics in American English. These dialogues have common expressions and teach you the most common vocabulary used in English! Listen to this naturally spoken, unscripted conversation about our experiences travelling in airports. Learn new vocabulary, improve your listening skills using these audio lessons. Amy: Hey, this is Amy from Real English Conversations, and today we’re going to be talking about some of the different experiences we’ve had while traveling through various airports. And for the Real English tips we’re going to give you some ways to talk about different time zones. Amy: Hey, guys, this is Amy and Curtis, and today we’re going to do a conversation that one of our listeners actually suggested to us. So who was that? Curtis: That was Alfredo. And he’s living in Venezuela. Amy: No, he is from Venezuela. Curtis: Oh, okay. Where’s he living? Amy: He’s living in Argentina and working as a pilot. Curtis: Oh, that’s a cool job. Amy: So what did he ask us to talk about? Curtis: Well, because he is a pilot, he asked us to talk about some of our experiences in airports. Amy: And specifically doing it in another language. Curtis: Yeah. This can be tricky at times. Amy: Yeah, so if you guys have been listening to the podcasts for a while, you’re going to know we’ve done quite a bit of traveling. I mean, where have we been? We’ve been to…we went to Hawaii. Amy: And we’ve been to California. Curtis: We’ve been to Costa Rica. Amy: Yeah. Costa Rica, Nicaragua, Panama, Ecuador. And upcoming we have a trip planned to Ecuador again. And to Colombia. And this next vacation is going to be three months, and I think we might be able to this time when we go to the airports, we might actually have an experience to do the whole process of the customs and like checking in with the customs agent and getting our passports stamped and stuff. I think we might be able to do it completely in Spanish this time. Curtis: Yeah. I’m feeling a little more confident, that’s for sure. Amy: Yeah. So the last times that we’ve traveled, we’ve really had a fairly limited level of the language. Amy: You know, because I know when we came back from Ecuador, after we came back, after I had been there for six weeks, I was still just a beginner, looking back now. I thought I was better then than I was, but looking back now I can see I was…I was pretty basic. Join as a our Free Member Here to get access to full lessons including listening and speaking activities to improve your English fluency! An interesting discussion about powerful and dangerous storms that are caused by nature. By studying everyday English conversations you can learn the most important vocabulary for speaking and understanding English better. Using the right tools (PDF text transcriptions and MP3 audio downloads) can help you hear every single word that the speakers are saying in the dialogue. You will learn better techniques to understand English conversations, movies, native speakers and even different accents with our lessons! 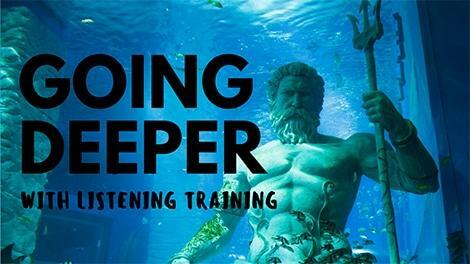 Special Training for Better English Listening! Our English Conversation lessons include videos that show you how to rapidly improve your listening skills to understand different accents, hear movies without subtitles and to understand fast English. Get the listening training videos when you join the Real English Conversations Course. Get Access to these Lessons Now! Now you can listen to real English Conversations to help you hear the natural way that real people speak in everyday communication. 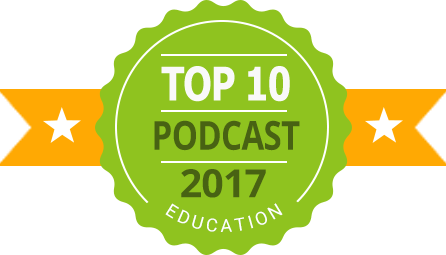 Learn vocabulary about many different topics and cultural activities as you increase your understanding of real English audio. Feel confident understanding new expressions and the people you are talking to during your own conversations. Each dialogue has a text file (PDF transcription) of the audio so that you can read while you are listening to the English conversations. Join our 7-Day Free Membership to download full lessons and listen to them on your MP3 player anytime. Get access to the lessons you need to reach English fluency with speaking and listening lessons that are ideal for beginner (A2 level) to upper-advanced (C2 level). We have an English podcast that you can subscribe to so that you receive notifications each time one of our conversational English downloads is ready. If you decide you want to get access to all the lessons, you can join the Fluency Power Pack to download MP3 files, text files (PDF transcription) to read and listen to English offline when you are away from your computer. Real English Conversations Members have access to activities and lessons that help our members to improve speaking and listening skills quickly to reach fluency. We teach you techniques you can use to develop your English fluency quicker than any other methods or courses you have tried. You can join the live practice sessions or our WhatsApp Speaking Practice (Fluency Power Pack Members) group to practice speaking spontaneously with other people. You will also have access to speaking practice exercises that you can do alone. We give you activities where you can practice explaining different topics to build vocabulary, increase confidence and find all the little words that are missing from your vocabulary (to improve fluency). Find out how you can improve your listening a lot faster using English conversation lessons and transcriptions.